Can’t get enough of Star Wars? 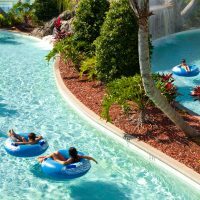 Neither can we, so we’ve compiled a list of our favorite Star Wars attractions to visit with kids. 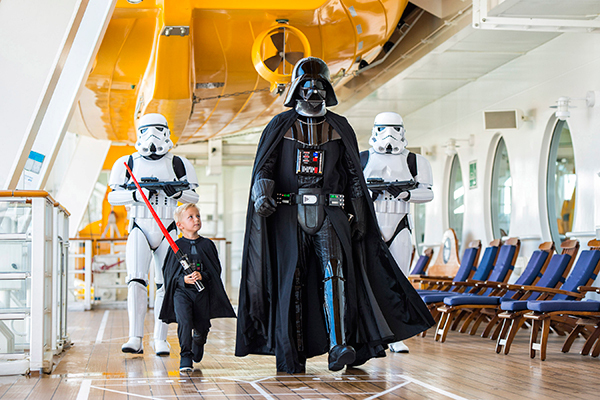 Star Wars Days at Sea continue to be a favorite on Disney Cruise Line — so much that the cruise line has announced the event will be extended through 2019. 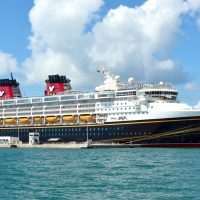 On select Eastern and Western Caribbean sailings, the programming will include meet-and-greet experiences with characters including Darth Vader and Chewbacca, along with a real-life version of the Jedi Training Academy. The fun will also include games and themed activities in the ship’s kids’ clubs. Parents will be able to enjoy Star Wars-themed cocktails, too! Disney Cruise Line also has a permanent area in the kids’ club on Disney Dream: Star Wars: Millennium Falcon. LEGO Star Wars, available at LEGOLAND Florida and LEGOLAND California, features recreations of movie scenes in the form of LEGOs! Some of the sculptures are as tall as 6 feet, and interactive buttons allow children to activate animations in each scene. LEGOLAND California also has a 1,900-pound replica of the Death Star! Of course, the fun at both parks includes photo ops with models of R2-D2, Darth Maul and Darth Vader. Attractions at Disney World and Disneyland include a Jedi Training Academy, a spin-off movie feature called “Path of the Jedi,” and meet-and-greet experiences. Space Mountain at Disneyland is poised as a Rebel X-wing battle, and Disney World has launched Star Wars Launch Bay for Jedi in the making. Disney’s Hollywood Studios also continues to host Star Wars Weekends in May and June each year, with more than 60 characters in costume, parades, shows and special dining experiences. 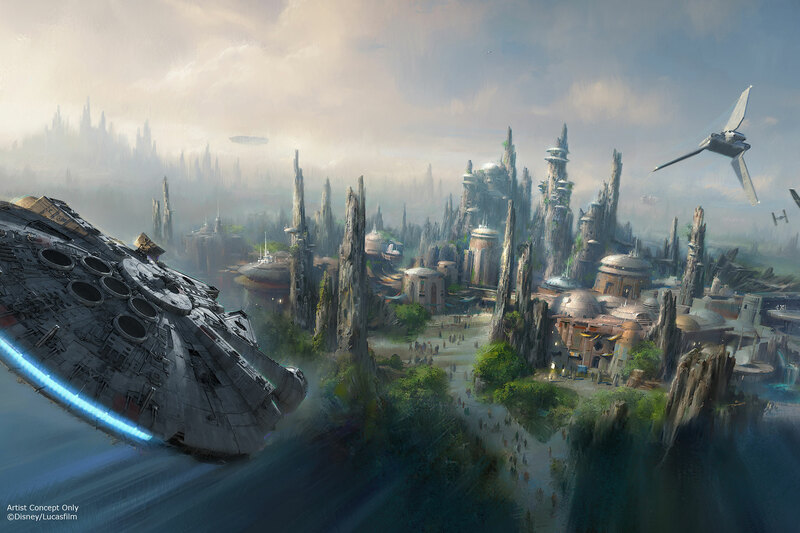 But what’s most exciting of all is that Disney has plans to launch a Star Wars-themed land at both parks in Florida and California in 2019, with a full-scale version of the Millennium Falcon among the speculated highlights. A new Star Wars Hotel is also in the works at Disney World. Madame Tussauds London features 16 life-like versions of the films’ characters, set in 11 recreated scenes that make you feel as though you’ve stepped onto a movie set. Better yet, visitors can “fly” the Millennium Falcon and visit the famous Throne Room. The St. Pete’s Museum of Fine Arts is currently showcasing “Star Wars and the Power of Costume,” a traveling exhibit. It includes more than 70 costumes from the first six films, including Darth Vadar’s iconic mask! The exhibit will be at the Florida museum through April 1, 2018, before heading to the Detroit Institute of Arts in May. 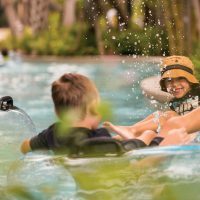 What’s New at Disney World in 2018?